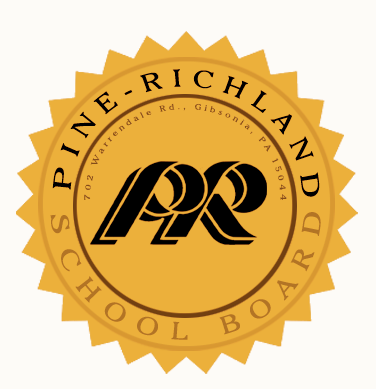 The Pine-Richland School Board reorganized on December 3, 2018. Familiar faces will assume the same duties as last year. Mrs. Christine Misback as vice president. Dr. Carla Meyer was reappointed as the legislative representative to the Pennsylvania School Boards Association. Mrs. Virginia Goebel and Mrs. Christine Misback were reappointed as representatives to the AW Beattie Career Center Joint Committee. Mr. Greg DiTullio was reappointed as a representative for the Pine Township Parks and Recreation Board. Mrs. Christine Misback was reappointed as a representative for the Pine-Richland Opportunities Fund. Mr. Peter Lyons was reappointed as a Food Service Advisory & Wellness Committee Representative. Mrs. Dana Kirk, director of financial and operational services, was reappointed as a delegate to Allegheny North Tax Collection Committee with Mr. Marc Casciani serving as an alternate. All meetings will be held in the Pine-Richland Central Offices DeWitt Blank Conference Room at 7 p.m. unless noted. *The meeting on March 18, 2019, will be held at A.W. Beattie Career Center and begin at 6:30 p.m. Serving on the 2018-2019 School Board as seen in the photo above are: (Front Row: L-R) Mrs. Virginia Goebel, director; President Peter Lyons, Vice President Christine Misback, Dr. Carla Meyer, director; (Back Row: L-R) Treasurer Marc Casciani; Mr. Greg DiTullio; director; Dr. Matthew Mehalik, director; Dr. Benjamin Campbell, director; and Mr. Matthew Moye, director. Mrs. Barbara Williams serves as the board secretary (not shown).